Are you driven to make a difference? Are you passionate about technology and the role it plays in improving healthcare and science? Are you a life-long learner who thrives on the opportunity to create and execute new ideas? Our team is passionate about supporting our customers to bring life-saving products and services to patients. We’re excited about people who love technology and are driven to make a difference. 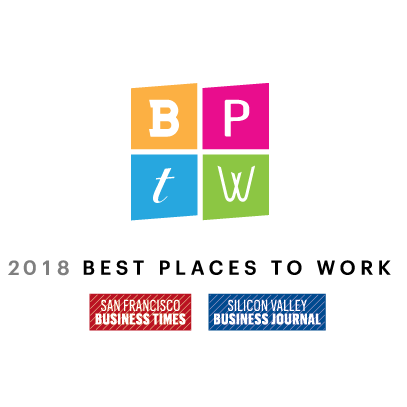 Title21 Health Solutions was voted in the Top Five Best Places to Work in the San Francisco Bay Area in 2017 and 2018! Title21 Health Solutions is headquartered in Pleasanton, CA — a desirable place to live and work in the heart of the Tri-Valley. The office’s location has close proximity to award-winning schools, safe neighborhoods, Downtown Pleasanton, and Livermore Wine Country. Enjoy a balanced lifestyle without a long commute at Title21. "Working at Title21 has been an incredibly rewarding experience. The culture and atmosphere of the office is extremely positive, and everyone that works here is supportive of one another and enthusiastic about the work we are doing. I have especially loved being a part of the Sales & Marketing team because I am constantly given opportunities to learn something new and I value their teamwork and respect for one another."